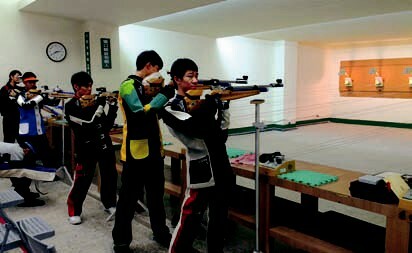 In accordance with the Taipei Basic Athletic Training Station Implementation Measures and other related policies set out by the Sports Affairs Council Executive Yuan to explore and train athletic talents to enhance Taipei’s strength in competitive sports, a total of 174 Basic Athletic Training Stations were set up in schools of all levels as well as the Single Sports Association of the Taipei Municipal Athletics Federation and Taipei Sports Centers in 2012, for 18 competitive sports categories. In addition, to co-operate with 「General Plan of Promoting Baseball Sports」, 10 baseball basic training stations were built and there are total of 184 basic athletes training stations as of 2012. Athletes with outstanding performances may apply for Outstanding Athlete and Training Grants. Moreover, in collaboration with the Sports Commission, regional tournaments were held and the Athletic Counseling Care Plan and equipment grants were in place to provide each station with a budget to purchase equipment and provide athletes with living and school expenses. These measures were designed to fully equip stations and provide athletes with solid training in a satisfactory and sound environment. The Taipei Baseball Team trains regularly at the Tianmu Baseball Stadium with a training schedule from 8:30am to 2:00 pm Monday through Friday. In the event of any time conflict, the coaching team reschedules the training sessions. In addition to taking part in competitions on behalf of the City, they take on the task of experience sharing with the public and carrying on good traditions as well as promoting baseball. Therefore, in addition to training, they give instruction in primary schools. This systematic approach encourages individuals to start playing baseball at an earlier age, helping to nurture future baseball players. 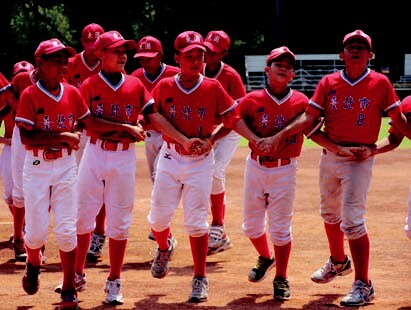 In 2012, The Basic Work Plan of the Taipei Baseball Team Assisting Baseball Development was set out; it provided for development of current baseball guidance from the primary-school level to all levels in the City. Assistance to schools with baseball teams or clubs would continue as usual whereas free coaching would be provided to schools with no baseball teams or clubs. For example, Trainer Wang Kuojin and Player Chen Taichang coached the team from Taipei Municipal Dong Yuan Elementary School in Wanhua District who won the delegation right to play in the 6th Asian Little League Championships. The tournament was held by the Taiwan International Sport Dance Development Association in Taipei Arena in the years from 2008 to 2012 (except for 2009), which attracted many excellent world-class dancers and was also one of the biggest professional ballroom dancing competitions in the country. This event was recognized and accredited by the World Dance Federation and Asian Dance Federation. In 2012, for the first time the competition was included in the WDC's world score, making it the first world professional competition in Taiwan. This was why the 2012 competition attracted 48 pairs of contestants who were at the top of the charts of world professional Modern Dance and Latin Dance. With 36 pairs of candidates coming from abroad, this event was one of the biggest in years in terms of the level of competiton and the number of registered teams. As one of the UCI World Tours in Asia, the Tour de Taiwan, a seven-day competition, was held between March 10 and 16 in 2012. A total of 19 cycling teams from 27 countries and 171 top cyclists flew to Taiwan to take part in this prestigious event. Among the participating teams were Saxo Bank Sungard, Androni Giocattoli, Rus Velo Pro Continental Team, and Champion System Pro Team, making this event the most competitive in Taiwan's cycling history. To create a competition with a high level of difficulty, the route circled around Taipei City, extending to Jingfu Gate, then back again to City Hall, the starting pointfor a length of 10.4 km. By cycling around the city five times, the racers made this the only city competition with a route that encircled the city. In addition to this professional competition, the Cycling Day for All, one event in the Cycling around Taiwan Series, entered its third year in 2012. On March 10, 2012, the Easy Riding in Taipei Event allowed individuals to cycle on Renai Road, the most beautiful boulevard in Taipei. 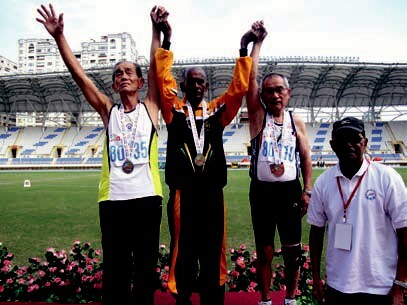 The event was held at the Taipei Track & Field Stadium on May 25-26, 2012, in which nearly 700 outstanding athletes from Taiwan and 16 oversea countries including Australia, U.S., Hong Kong, and Thailand participated. Seven Taiwanese athletes had outstanding performances, breaking four national records. Lee Wenhua, an athlete in training for the Olympics, won the gold medal by breaking the national and meet record in the discus competition with a throw of 59 meters 83, also reaching the Olympic B standard; Chen Jie, also in training for the Olympics in the 400-meter hurdles, won the silver medal with a time of 49.93 seconds, behind Tyler, winner of two consecutive Olympic gold medals; Wang Wentang, also in training for the Olympics in the 200-meter sprint, won the gold medal; Lin Giayin reached the Olympics B standard with a throw of 17 meters 38 in the women's shot put; Yi Weichen was runner-up in the 100-meter dash and broke the national and meet record with a time of 38.78 seconds in the 400-meter relay. The 2nd Taipei City Cup Taekwondo Invitational was held on the first floor of Taipei Gymnasium on August 14 and 15, 2012. There were nine participating teams from 6 countries, including Korea, Hong Kong, South Africa, Australia and Indonesia. There were three teams from Taiwan competing in this event. The hosting of international events provides domestic athletes with more opportunities to compete and accumulate practical experience. Meanwhile hosting such events is a good way to market Taipei's urban culture. The 2nd Taipei City Cup International Boxing Tournament 2012 was held in Taipei Gymnasium from August 29th to September 1st. Boxing is a standard competition event in Asian Games and Olympics. It is also a sport greatly promoted by advanced countries. Participating players were from Japan, Korea, Philippines, Indonesia, Vietnam, Singapore, Hong Kong, Macau, Mongolia, Malaysia, Kazakhstan and other countries. The Taipei City Junior and Cadet Open 2012 was held in Taipei Gymnasium from September 12 to 16 with the participation of 119 players from 8 countries such as Japan, South Korea, Hong Kong, Singapore, Malaysia, Poland, Sweden and Taiwan. Organizing the event not only provided our junior players with a great chance to gain experience from international competitions but also helped them perform better by playing in their home country. 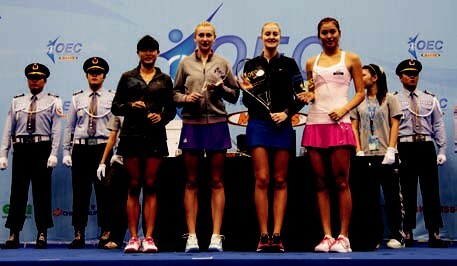 Most important of all, it was a good way to promote the development of table tennis in Taiwan. The 7th Taipei Open International Judo Tournament 2012 was held in the Taipei Gymnasium from October 2 to 3, 2012, by inviting about 250 players from countries such as Japan, Korea, Vietnam, Singapore, Thailand, New Zealand, China, Hong Kong, Macao and other countries. 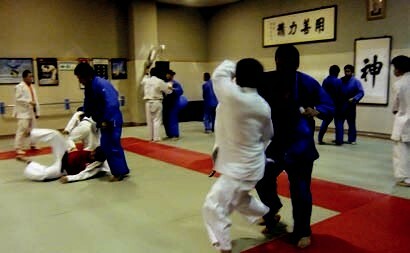 A judo team of Taiwanese players was formed to take part in this event. Through participation, local athletes can improve their skills, enhance their strength, and cultivate their national identity. With all these, they were geared to get the best result as well as enhance the nation’s level in judo competitions throughout the world. The 2nd Cross-Strait Baseball Tournament 2012 was held in Tianmu, Xinzhuang and Youth Park Baseball fields from October 24 to 28. Although there have been regular games in basketball and golf organized by organizations across the Strait, a formal baseball competition coordinated by official baseball associations across the Strait has never been held despite the fact that many businesses have helped promote the exchange of baseball teams across the Strait. To promote sports and cultural exchanges across the Strait, this Cross-Strait Baseball Tournament came into being. A total of 14 teams (4 teams from the major leagues and 3 teams from the little leagues, respectively) took part. Taipei City was proud to take home the fourth-place trophy in the major-league competition. 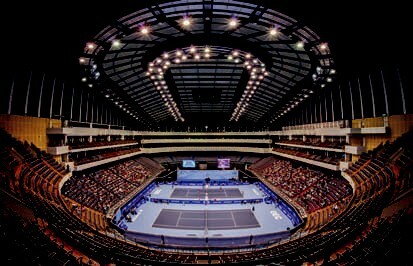 The OEC Taipei Ladies Open 2012 was held in Taipei Arena from October 27 to November 4th, in which top international female tennis players competed against Taiwan players. In addition to the installation of the Hawkeye system, a speed testing system for the balls was also installed. The enhancement in equipment greatly enhanced the professional image of Taiwan as a host of this international event. The number of viewers attending this event at 60 thousand made it one of the largest international sporting competitions ever held in Taiwan. Last but not least, the hosting of this event achieved the twin goals of promoting athletic exchanges with other countries in the world and gaining more visibility for Taiwan and Taipei City around the globe. The 17th Asian Cup Evergreen Athletics Championships 2012 was held in the Taipei Track and Field Stadium on November 2-7, in which approximately 1,700 players from 17 countries and regions, including Uzbekistan, Brunei, Indonesia, Mongolia, Kazakhstan, Nepal, Pakistan, Thailand, Philippines, India, Iran, Malaysia, Singapore, Sri Lanka, Japan, Hong Kong, and Taiwan participated. Chinese Taipei won a total of 256 medals. Among them, 85 were gold medals, 91 silver medals, and 80 were bronze medals. The Taipei Marathon 2012 kicked off at 7am on December 16th, 2012. For years, the Taipei Marathon has gained great popularity in Taiwan and has become a great attraction for outstanding runners from abroad. Their participation has made it an international event with registration exceeding 100 thousand runners from more than 50 countries. This marathon features several categories, including the full run at a distance of 42.195 kilometers, a half run at 21 kilometers, 9 kilometers, a fun run at 3 kilometers and kids group at a distance of 2 kilometers. A spectacular marathon carnival not only encouraged the public to play sports but also symbolized the vitality and vigor of the city. The marathon route went through the featured famed scenic spots and along the river banks in Taipei, allowing the runners to savor the spectacular urban views and the friendliness and charm of the city while enjoying their run. The Taipei International Youth Baseball Championships was held in the Tianmu Baseball Statidum, Xinsheng Park and the Youth Park Baseball Field from December 23 to 27, in which more than 24 teams from countries such as Japan, Korea, Hong Kong and Taiwan took part. This event helps to increase Taipei's visibility around the world through international exchange in baseball and competitive sports and leads to greater competiveness around the globe. School is where children get fundamental training to develop their stamina and strength. In physical education (PE) classes in schools, students get stronger physically so they can pursue their growth in academics and spirituality. The Department of Education of TCG upholds the spirit of excellence, equal education, and a focused education to develop a range of skills; therefore, training in sports was implemented to encourage students’ participation and interest. With physical education classes and Sport Coaches together with the establishment of systematic athletic training has helped students with potential to develop adaptively. Students with great potential in sports are more easily identified and cultivated to develop their promise. In recent years, through PE classes in schools and Sport Coaches a training environment for competitive sports was created. A dedicated budget was allocated to improve facilities in schools, to provide promising PE students with scholarships or to subsidize them with tuition or grants. In addition, the Department of Education also actively organizes City Games and the Education Cup Singles Championships to provide athletes with competitive opportunities. Moreover, subsidies are also provided to teams in junior and senior high schools to travel abroad to take part in competitions, to do ex-situ training and participate in international sports exchanges. All in all, these programs have helped local athletes get more chances to compete against international players.Their competitiveness and sportsmanship enhance the visibility of the City. The dedicated training efforts made by the Department of Education of the TCG have proved worthwhile. In the 2012 National High School Athletic Games, Taipei City was at the top of the national chart by winning a total of 279 medals, including 102 gold medals, 90 silver medals and 87 bronze medals. This was a great increase from the 173 medals garnered in year 2010 and the 173 in 2011. The outcome is also a substantial proof of the improved competitive strength for schools in Taipei. In recent years, more efforts have been put into the city's individual championships so as to encourage students to cultivate good athletic skills. Schools were urged to organize league games and events for individual sports. To promote the participation of students in elementary schools, a relay race was added to the regional athletic games, in which only a school's winning team can participate. Each team is composed of eight boys and girls, an event that demands good team work. By encouraging universal and competitive sports, the City Government expects to develop the local sports culture as well as individual talents with great potential to lay a solid foundation for the city's sports education. In terms of the participation in international games, the Department of Education of the TCG organized a team to represent Taipei City to participate in the International Children's Games. In 2012, the event was hosted by Daegu City in South Korea. Eighteen students between the ages of 12 and 15 from junior high schools in Taipei City performed outstandingly in the games, winning two gold medals, three silver medals and six bronze medals. In addition to expanding the horizons of the young students from Taipei, this event was also successful in sports diplomacy. Moreover, gaining tournament experience can effectively boost the level of our competitive sports. To build a foundation for school training in specialized sports, integrate human resources as well as enhance the city’s overall strength in competitive sports, the Department of Education of Taipei City convened several meetings to devise a training system for individual sports beginning in 2011. These meetings were centered on the themes of setting up sports classes, specialized sports, and Sports Coaches. All sports should be developed through a comprehensive training program in which athletes are trained systematically through advanced levels. In this way, a solid foundation for basic competitive skills can be laid down and students with outstanding talent in sports can gain support to take part in the training. Since 2010, special funds have been allocated to subsidize student tuition and training. In line with the policy set out by the Ministry of Education, a Baseball Revitalization Project for Schools in Taipei was drafted to foster the establishment and development of school baseball teams. In academic year 2012, the Education Cup for Individual Championships were hosted to cover a total of 33 different sports (golf and fencing were added for the first time in 2012). Since then, some of the individual sports were provided with a sports training class and full-time sport coaches; these were categorized as Group A. Group A trainees are required to participate in competitions. The remaining sports were categorized as Group B so as to meet both the level of competitive sports and the goal of popularization of sports. Beginning in academic year 2013, specialized sports items will be categorized under Group A. Sports education in schools is the cornerstone of social sports whereas social sports are an extension of school sports. In elementary school, students are encouraged to actively participate in fun sports. When they continue onto junior and senior high schools, they should be able to receive specialized training based on their interests and physical strength. Through this fundamental training and education, citizens are able to take part in social sports at a highly competitive level. This can be continued in the international sports arena. The Department of Education is dedicated to putting forth a consistent policy on the development of specialized sports for all levels of schools in Taipei. Therefore, we can create a superior sports training environment and an ongoing training mechanism for advanced students and career placement in this field so as to nurture more and more excellent athletes. To increase the strength of competitive sports in Taipei City, the Department of Sports, TCG, started to apply sports science to enhance the athletic skills of players in the Basic Athletic Training Station in Taipei. This provides sports coaches with a basis to assess training performance and to conduct technical analysis. This is beneficial in preventing sports-related injuries, in rehabilitation and in enhancing a player's confidence. A competitive ability data base for all athletes was set up to serve as a good training reference for both players and coaches and for assessing training performance and ability. In 2012, based on essential application of sports science and requirements of coaches and athletes-oriented, basic athletes training stations as well as high school sports classes of Taipei City has provided physical performance exams to 1,609 athletes, sports psychological counseling to 2,239 athletes and organized sports-related injuries prevention advocacy education to 1,765 athletes, fitness training workshop to 395 athletes and offered athletes medical service. Furthermore, physical training seminars were organized for basic-level coaches of Taipei City in order to improve their practical training skills.